If you’re like me, you’re careful about making any changes to your home. When it comes to trying new things for the first time, we want to be sure they’re safe – and that’s smart! I don’t blame you at all. 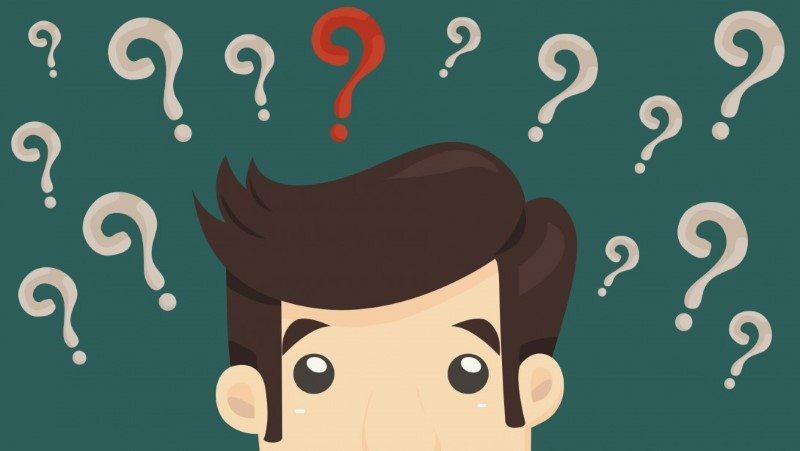 When it comes to air purifiers, there are so many brands, types, and models, that its difficult to know which you should purchase for your home. But can they actually make your health worse? I’ve been in your position, so I know exactly how it feels to try to figure out all the facts from the half-truths and nonsense. It’s especially important to know which products are actually worth your hard-earned money. 2. Why do people think air purifiers cause sickness? 3. Which types of purifiers are good and bad, and why? 4. So what air purifier do I need? 5. In summary – can an air purifier make you sick? Why do people think air purifiers cause sickness? Because they’re such a popular product, there’s a massive amount of information and different terms used out there. A lot of it is either misleading, factually incorrect, or just plain confusing. One thing you might hear about air purifiers is that they produce ozone or some kind of by-product under different names (like “ions” and so forth). Some are, in fact, not good for you. Some products out there like ozone generators are sold as “air purifiers” when in fact they’re hardly effective and can cause problems. In those cases, they’re advertised as creating an effective air cleaning air molecules (ozone) that is safe and naturally occurring in nature, but this isn’t the case. The ozone emitted by those types of air purifiers is the same as any other kind of ozone – and just as much of a problem. Bad products can give the good products a bad name due to the confusion and having consumers misunderstand how safe, effective purifiers really work. Which types of purifiers are good and bad, and why? 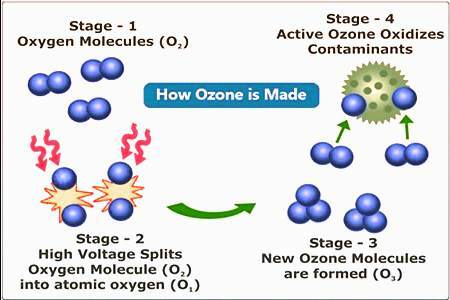 Ozone is a by-product of products sold as purifiers that affect oxygen molecules. The basic idea is that safe oxygen molecules are split (often using a high voltage electronic circuit) and free oxygen atoms re-combine into unstable ozone (O3) molecules. These then can sometimes bond with, and affect, airborne contaminants and odor-causing substances. The problem is that ozone isn’t safe at high levels, and these products aren’t as effective as a HEPA purifier. Ozone is that odd, “fresh” scent you may have smelled outdoors after a lightning storm or from a model railroad set at Christmas time. It’s produced when electricity affects oxygen atoms in the air, which can recombine into molecules with 3 (instead of 2) atoms. The idea is that the ozone molecules will bond with and trap unwanted elements in the air. The big problem, however, is that at safe levels it’s very ineffective. At ozone levels where the generator does make a difference, they’re not to be used when humans are nearby as it’s an unsafe level. Ozone is inhaled when you’re in an enclosed room with products sold as “air purifiers” which are actually ozone generators. The side effects depend upon the amount of ozone you’re exposed to. 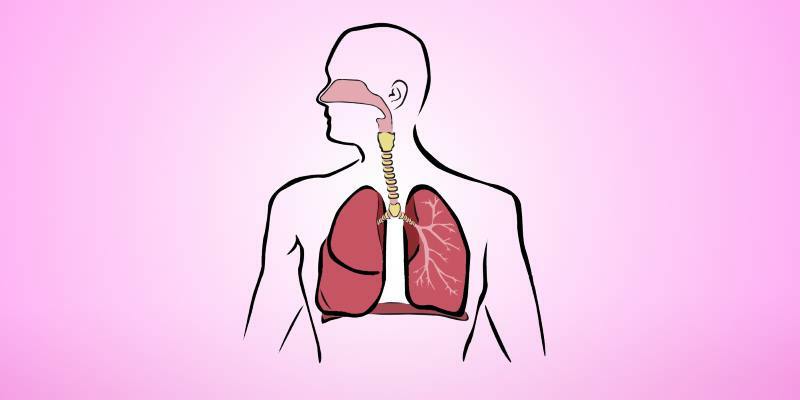 Basically, ozone molecules are unstable and when breathed in they can affect your respiratory system. Ozone molecules cause a number of symptoms like irritated and uncomfortable passageways, headaches, pain and coughing, and more. The Environmental Protection Agency (EPA) is very clear that ozone is a lung irritant and they don’t recommend introducing ozone-creating products into your home. While ozone can help remove odors from your home, it takes levels that are unsafe for humans to do so. This means that air purifiers that depend on releasing ozone, called ozone generators, should be avoided. Some types of electronic air purifiers, like air ionizers, may release small amounts of ozone as a byproduct. In that case they’re generally safe and can’t make you sick or cause issues, but they’re simply not effective and are not worth the money in my experience. Which air purifiers are safe and effective? Air purifiers that are safe and don’t cause the symptoms of sickness, headaches, or other irritants are those that use a filter and do not produce ozone. 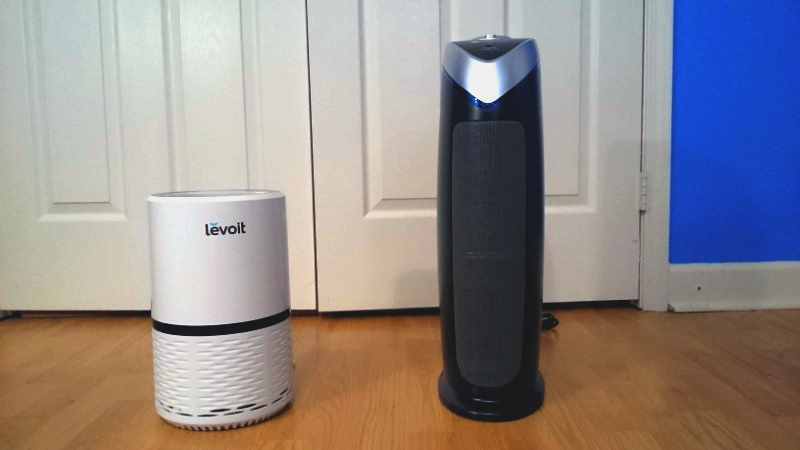 Two excellent – and best-selling examples are the Levoit LV-H132 (left) and the GermGuardian Ac4825 (right). These types of products work by simply filtering air, and don’t add any unsafe by-products into the air you breather. In fact they make your air less prone to causing sickness or allergies! Air purifiers that are filter-based are safe and cannot cause sickness or issues from their use. If anything, they reduce sickness and make the air around you more safe and healthier. They’re proven to be effective and some major brands have documented effectiveness, based on the Association of Home Appliance Manufacturers (AHAM) lab testing standards. The most reliable air purifiers are those that use High-Efficiency Particulate Air (HEPA) filters. These types of air purifiers don’t release any byproducts. They instead use a filter made of thin fibers to remove particulate matter from the air as air is drawn through it by fans. Those thin fibers are woven into a dense mesh and pleated material. This way their surface area is increased. They’re based on an old standard which ensures they can remove 99.97% of particulate matter from the air. HEPA filters can remove particles as small as an incredibly tiny .3 microns in size. A single micron is 1/1,000,000 in size, meaning that these filters can remove microscopic elements – everything from pet dander to microbes. And the best part is, unlike air purifiers which make claims that are impossible to test, HEPA filters have specific standards that they need to meet so you can be sure that they actually work. A close-up of a HEPA filter. 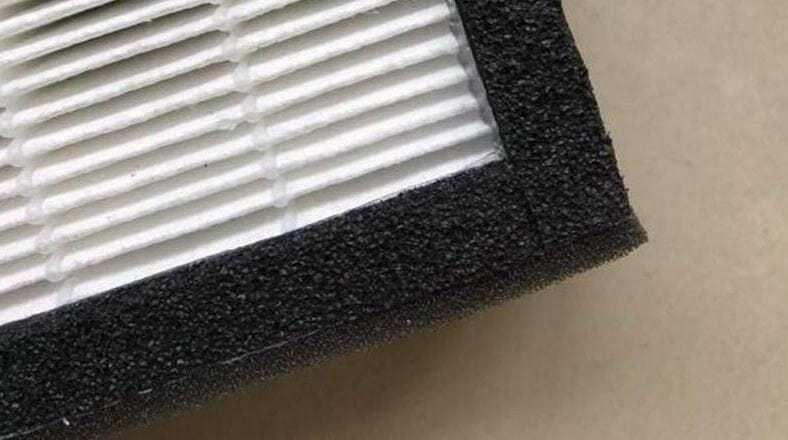 Very dense and made up of tiny fibers, HEPA purifiers often are used with other filter sections like activated carbon and pre-filters to make their products more effective. When used together they’re more effective and can remove sickness-causing vapors, germs, allergens, and much more from the air you breathe. HEPA filter-based air purifiers (a great example is the GermGuardian AC4825 I reviewed in detail here) work by filtering the air in a room continuously. They use an electric fan or fans to draw in air, move it through the filters, and force out fresh, healthy air. Therefore there’s no way they can cause sickness. A good product cannot introduce harmful elements into the air you breathe or cause discomfort or any symptoms from use. 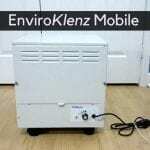 There isn’t any way for HEPA purifiers to make you sick, because they aren’t adding anything to the air. They are only taking away irritants that might exacerbate issues for people with asthma or other medical conditions. Better-quality household HEPA purifiers also contain supplementary filters, like an activated charcoal filter, to trap odors and volatile organic chemicals (VOCs) that cause either unpleasantness or even health issues. They’re also really helpful for dealing with second-hand smoke effects. So what air purifier do I need? This means that they don’t fully meet the HEPA standard of removing 99.97% of particulate matter from the air, but use a filter that is similar in design in some ways. They’re a lower-cost version without the same cleaning efficiency. I’ve covered HEPA-type vs true HEPA filter differences in this helpful post. It’s critical to shop wisely. In summary – can an air purifier make you sick? Before purchasing an air purifier, it’s worth your time to make sure that the air purifier you are buying is both safe and effective. For some of the best – and most affordable – choices, check out my recommended models for under $100. I personally own and use the GermGuardian AC4825, one of the most popular sold today. Here’s my comprehensive and honest AC4825 review. What are your thoughts on the Eureka instant clear 3-in-1 air purifier? Thank you! Hello Steven! I had a look at the Eureka InstantClear and here are my thoughts as I haven’t had the opportunity to try it personally. – Good CADR ratings and it’s lab tested, which demonstrates proven performance. This is a great thing. – Nice medium room square feet coverage for the price. – Looks to have a nice build quality, controls, and ease of use. It reminds me a lot of the GermGuardian design. From what I see, it looks like it’s potentially a good option worth trying. Bear in mind I think the replacement filters may run a bit more than competitors which are more popular (Honeywell, GermGuardian) as the replacement options are more limited. Are you familiar with the reme Halo? I recently purchased it in addition to the expensive new heating and air system I had installed. It creates an advanced oxidation plasma of ionized hydroperoxides superoxide ions and hydroxide ions. The first thing that I noticed was the strange outside air smell in the house that I didn’t necessarily like, but had to get used to. I also called them back because my eyes were burning so badly. I asked them to turn down the ionizer which they did. I am now thinking of asking them to take it out completely for two reasons. When the ionizer is turned down, I’m sure it’s not doing much. I also don’t know what else to attribute my constant eye irritation to at this point. My eyes are now red and swollen all the time and even peeling on the eyelids. The eye doctor was not sure what was causing it but tried a full round of antibiotic ointment which had no effect. Am I crazy or can this truly be a result of the air purification system? Hi Linda. I wasn’t familiar with the Reme Halo device, so I did some reading before replying. I’m sorry to hear you had to suffer what sounds like some very uncomfortable side effects. It’s really hard to say exactly what it produces (given how much jargon they use, and the lack of details about safe ozone or ion levels). It does seem to be a type of ozone device, ion device, or both, that I mentioned in my post that can cause these kinds of problems. I believe that yes, it could be a result of that Reme Halo introducing those elements into the air. Honestly, I think you should disconnect it yourself or get them to disconnect it for a while and see how you feel. Then you should have a pretty sure idea if it’s that or not (I think it is). If you need safe clean air, I definitely recommend staying away from things like that and using filter-based purifiers that can’t give you those kinds of problems. I hope this helps, and I certainly hope you feel better soon!